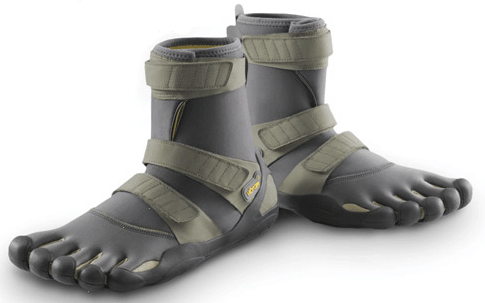 The Vibram FiveFingers shoe line takes a minimalist approach to barefooting. These one-of-a-kind barefoot shoes are not only fun to wear… they’re practical too! 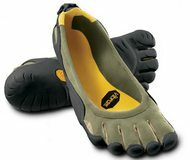 FiveFingers barefoot shoes are available in men’s and women’s sizes, and they come in a wide variety of colors. The best part: They hug your foot (including your toes!) like no other shoes can. 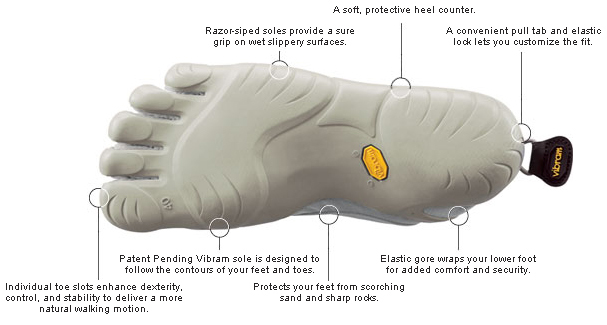 Non-marking Vibram TC1 performance rubber soles protect your feet and provide a sure grip over a variety of terrain. A thin, abrasion-resistant stretch polyamide fabric fits low on the foot – for comfort and quick drying. 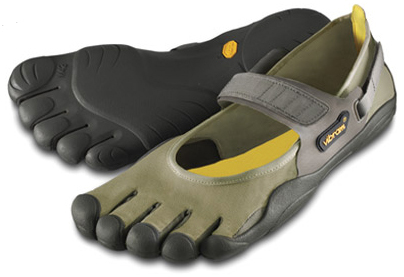 The most versatile, secure-fitting FiveFingers product. Hook and loop closures along the heel and instep provide a comfortable secure fit. A thin, abrasion-resistant stretch polyamide fabric fits low on the foot – for comfort and quick drying. A flexible, non-marking TC1 performance rubber sole is razor-siped to enhance grip over a variety of terrain. Has a 1.2mm neoprene lining — the world standard in thermal insulation for in-water activities. Three adjustable strap closures provide the secure comfortable fit needed in fast moving water. A non-marking Vibram TC1 performance rubber sole is razor-siped for flexibility and slip resistance over a variety of surfaces. 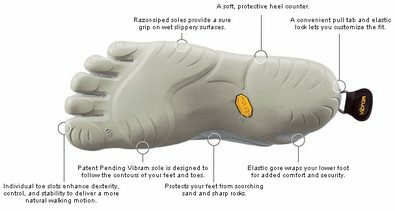 See all Vibram FiveFingers barefoot shoes. Check out all the great reviews! So many choices… which pair is best for you?